held during early part of November before the Joint Coordination Committee (JCC), the apex body for China Pakistan Economic Corridor (CPEC) to hold its 6th meeting in Beijing on November 28-29, 2016. Chinese Experience in urban and rural development, poverty alleviation and industrial parks. It was stated by Minister for Planning, Development and Reforms, Ahsan Iqbal while briefing the Parliamentary Committee on CPEC here yesterday. Chairman, Senator Mushahid Hussain Sayed presided over the meeting. on CPEC, all the provinces and Gilgit-Baltistan would be invited to the JCC meeting in Beijing. hold workshops and include the provinces in the JCC meeting, as he said ‘CPEC should move forward with full consensus, transparency and inclusive development particularly that of less developed areas like Balochistan, Khyber Pakhtunkhawa, FATA and Gilgit-Baltistan’. through Eco-friendly economic projects in different areas. plus a plan for tourism on Attabad lake, Khunjerab-Islamabad fibre optic cable, initiative for mining of minerals, Hydel projects, upgradation of KKH highway, establishing an Engineering University and a Medical College. visit to China,along with the Railways Minister, Kh Saad Rafiq, where the decision was taken for upgrading and dualization of the Pakistan Railways main line track from Karachi to Torkham, at a cost of $ 8 billion, of which $ 5.5 billion would be a concessional loan from China. Ahsan Iqbal, to which he said the answers would be provided by November 1.
attended on special invitation, thanked the Parliamentary Committee for including Gilgit-Baltistan in all its deliberations. megawatts of electricity, which should be harnessed. 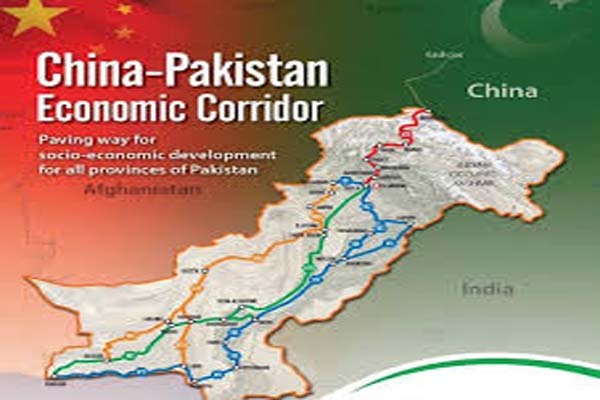 Chairman, NHA, briefed the Parliamentary Committee on progress towards the construction of the Western route of the CPEC, which he explained with detailed maps and statistics, that the policy guidelines of the APC of May 28, 2015 and January 15, 2016, were being fully implemented. be completed by August 2018.
lines, and the Parliamentary Committee directed the NTDC to provide details of new transmission projects, with their respective locations and timelines of completion, as well as their capacity to transmit electricity, at the next meeting. Senator Shibli Faraz, Senator Salahuddin Tirmizi, Shahji Gul Afridi, Senator Talha Mahmood, Senator Hasil Bizenjo, Rana Afzal, Ghous Bux Mehar, Ejaz Jhakhrani and Lt Gen ® Abdul Qadir Baloch. Secretary of the of Parliamentary Committee, Khalid Mahmood, were also present.